Fifty years ago, those of us who dreamed about finding extraterrestrials thought we knew where to look: planets with temperatures somewhere between the freezing and boiling points of water. Given warm little ponds, simple chemical reactions would produce life, and evolution might eventually produce intelligent creatures. While working at the National Radio Astronomy Observatory in the 1950s, I tried to estimate the number of planets in our galaxy with intelligent, technological civilizations. The result has come to be called the Drake equation (not by me, although it sure is nice). But I've recently realized that the numbers we've been plugging in are too small. We placed undue limitation on the kind of stars that could support life, which restricted the variable R*. We underestimated the number of possible life-sustaining planets because we thought they had to be confined to a particular orbit: within the continuously habitable zone, or CHZ. But our math said that our own sun's CHZ was so narrow that Earth was barely in it. Life, especially complex life, would be very rare; and would be very small too. What did we miss? Venus. 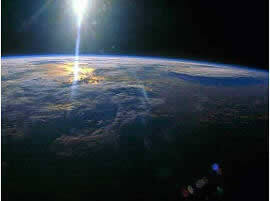 It's not much closer to the sun than Earth is, but the temperature there reaches 900 degrees Fahrenheit. Every square inch of the surface radiates about 17 times as much energy as it gets from the sun. Blame the greenhouse effect; Venus' thick carbon dioxide atmosphere contains that energy. So, theoretically, a planet could be far from a star and still have life, if the atmosphere was thick enough to keep it warm. These "goldilocks" worlds, not too hot or too cold, greatly enlarge the CHZ - Jupiter's moon Europa, enveloped not by CO2 but by ice, may be an example. Planets might not even need stars. No one has directly observed a rogue planet, but we know they're out there; astronomers have discovered more than 130 extrasolar planets, and their orbital motion tells us that during the formation of a solar system, extra planets get dumped into the star or kicked out of the system. The castaways wander in the great empty spaces between the stars, the orphans of the Milky Way. In theory, if the rogue's crust contained radioactive elements, their decay could keep the surface warm enough for life. Eighty percent of the stars in our galaxy are small, faint red dwarfs, what astronomers call M stars. They'd draw a planet so close that tidal interactions would hold one face toward the star, the way the moon faces Earth. At the center of the dayside, temperatures would range from warm to broiling. On the nightside, the air itself would be frozen into snowflakes - unless, as we think might be possible, powerful winds blew from the dayside. Somewhere between twilight and noon would be what I call a Camelot zone. It'll have good weather all the time and a warm breeze, like a never-ending balmy evening. We used to think N was about 10,000. Now I think it could be a great deal larger. 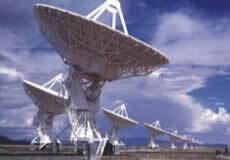 To find out, we must point our radio telescopes at new targets. We have to look between stars - there could be friendly rogues calling from the gossamer swath of the Milky Way. There might be planets nestled near cold, tiny stars, where intelligent creatures would have no concept of day or night. And I wonder, do these Camelotians ever sleep?